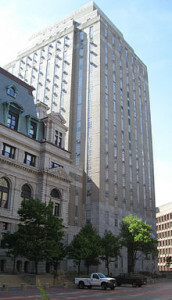 Our firm regularly practices before the Massachusetts Land Court handling many forms of action exclusive to the Land Court including: Actions to Try Title, Actions to Quiet Title, Actions to Reform Deeds, Boundary Disputes, Easement and Rights of Way disputes, determination of zoning applications, zoning and/or permitting appeals, and S-Petitions. Our firm has handled title insurance claims for several national title insurance companies over many years providing our office with extensive experience and familiarity with the Land Court and its process. Put our office’s experience to work on your behalf. If you have a Land Court matter concerning your property don’t entrust it to just anyone contact us today to allow our expertise to work on your behalf. Real Estate Litigation –Our office can also handle all your (Superior Court and/or District Court) real estate litigation needs including specific performance claims, contract (purchase and sale/offer) disputes, contractor (new construction or renovation) disputes, consumer protection actions, landlord-tenant actions and any other type of real estate related disputes. Eminent Domain – If your property (whether commercial, residential, developed or vacant) is the subject of a Chapter 79 eminent domain taking, our office will represent your interests to maximize your compensation for such a taking. Our office will require the taking authority compensate for the best use of the property and maximize the true “market value” you are entitled to.